The INJOY bistro table is a tribute to the terraces of the world, from Ibiza to Paris via Rome and New York. Designed by Eugeni Quitllet, longtime collaborator of Philippe Starck, the tables combines uncommon practicality with a subtle visual flair that sets it apart from the pack. One of the most distinctive features of INJOY is the dynamic shape of its legs, their gentle taper the result of high-tech industrial processes. 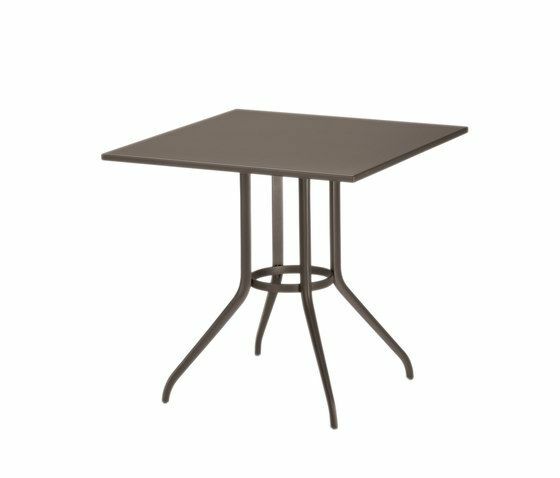 Fabricated entirely of aluminum, the tables comes in a state-of-the-art, pearly-finished polyester powder-coating with a textured finishing. From its choice of tabletops (made of shaped aluminum sheets) to its easy-to-clean feet, every detail of INJOY has been thoughtfully considered. Available in a choice of White or Black Pepper, it’s the perfect complement to any DEDON collection. Lightweight yet strong, timeless yet fresh, INJOY is here, ready to take its rightful place on the terraces of the world!